Carol’s works are collected worldwide with several collectors owning over 125 works at last count. She was commissioned to paint two Miss America’s and her fine art is published by Paradise Gallery and Gifts. 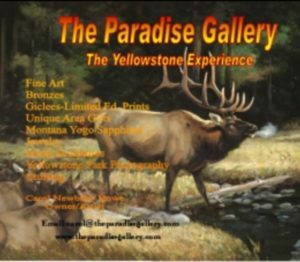 She and her gallery are located in beautiful Gardiner, Montana, at the Arch Enterance to Yellowstone Park.